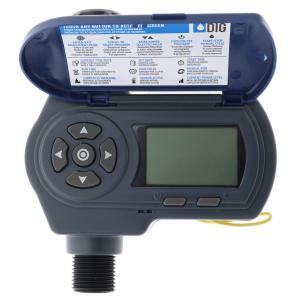 DIG’s EVO100 ambient light Solar Powered Hose End Timer (Tap Timer) is the most innovative in our new generation of premium automatic controllers and timers. Completely waterproof, the EVO100 is a DC timer with built-in solenoid and high flow diaphragm valve for reliable operation in all conditions. Easily connects to most outdoor faucets. 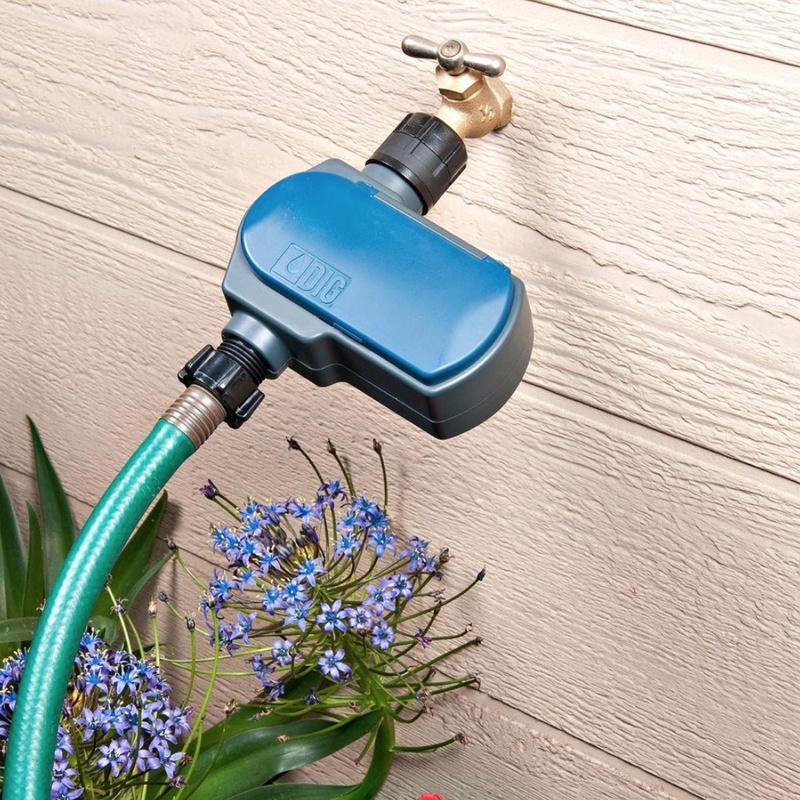 The EVO100 Hose End Timer (Tap Timer) uses the latest and most efficient technology, including DIG’s patented, time-tested, internal photovoltaic module and microelectronic energy management system energized by surrounding ambient light (solar). This efficient energy system provides the power for the timer to function at any time, night or day, and in any weather with no direct sunlight required after its initial charge. The EVO100 features a large, easy-to-read LCD screen and simple, icon-based programming with weekly or cyclical programs, four start times per day, durations of up to six hours, program delay of up to 99 days, program off, manual operation, and a sensor wire connection to accept a two wire rain sensor.